For many Quebecers, July 1 is moving day. For the Montreal Society for the Prevention of Cruelty to Animals, that means increasingly dealing with pets who’ve been left behind, along with discarded mattresses and old furniture. The SPCA says the number of abandoned animals that it receives skyrockets around moving day, when the majority of leases in Quebec end and people are swapping apartments and houses. It’s a trend that starts as early as May, and continues until after July 1 as people move to new homes around the city – sometimes having to choose buildings that don’t allow pets. It’s an unfortunate situation, which sees many pets left behind in abandoned apartments. Ted Wright of the Westmount Legal Clinic says that although no-pets clauses are legally valid in rental agreements, there are ways that pet owners can still keep their furry companions. He suggests talking to the landlord and, if necessary, challenging the clause before a local rental board. “If it's too small a dog, if there's no damages, if no one's making a complaint, if a lot of other people have pets in the building -- that's the kind of thing that builds your case,” Wright says. Although many of the abandoned pets will find new homes, being left behind could have long-term effects on the animals, one expert says. “Most dogs and cats will end up pacing, being very, very agitated sometimes,” Enid Stiles, a veterinarian at the Sherwood Park Animal Hospital, said. The SPCA urges anyone who can’t keep their pet to try and find it a new home with friends or family, or contact a local shelter. 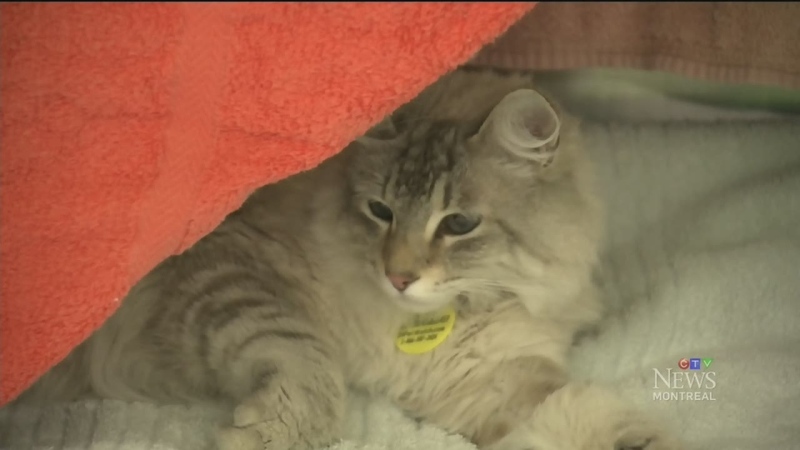 The SPCA says the number of abandoned animals that it receives skyrockets around moving day.